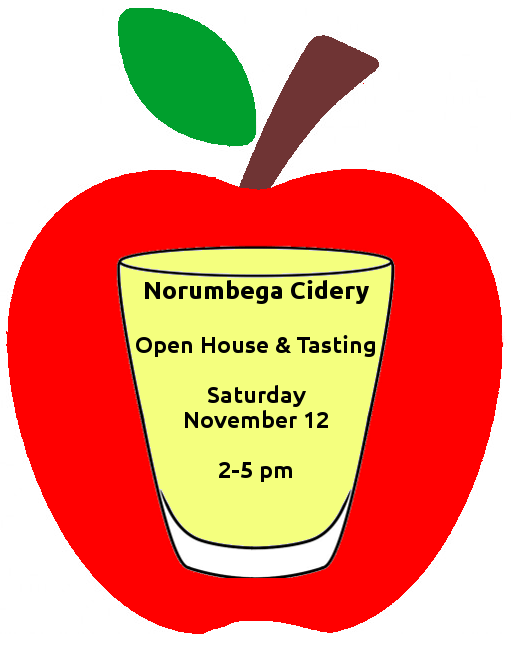 Norumbega Cidery will be open for hard cider tasting from 2 pm to 5 pm on Saturday November 12. Samples will be available for sale and testing including the classic blend of Norumbega hard cider as well as special blends such as berry, honey, and spice. Bottles of cider are also available for sale. Stop by the Quilt Show at the Norumbega yurts on your way to the hard cider tasting. Quilts by Ellie Feller and Sharon Vandermay are available for sale.